Dear reader, we will provide some views of us regarding the foundation settlement behavior of single pile and pile group in this post. We all have learned that piles are grouped to support structural element (column, shear wall etc.). These piles in a group are calculated by the super structural loads to be transferred through the structural elements and capacity of individual pile. Dear reader we have published some post about pile load test by which we find a testimony of expected pile capacity or the ultimate capacity of pile. Here question arises how does pile perform when they are grouped? It is found that with variability of the individual capacity of single pile to those piles in group, there may also be striking different in total relationship between load-settlement. The consequence of these is unpredictability of settlement of piles in groups, from pile load test, that has to be conducted on single pile. We know piles are sometimes, required to be penetrated to considerable depth to derive desire capacity. While penetrating it may have to be penetrated through different stratum containing different types soil. Some of these stratum may have compressible deposit. Do you think, why we are writing this irrelevant or easily gettable thing? We are trying to give an example to understand the actual situation. Now consider a pile group is subjected to settlement due to underlain compressible deposit, what should be behavior of individual pile? Some pile may settle but some piles may not moved hardly an inch with respect of embedded soil. If you don’t understand or you have different opinion, we can see many spectacular examples regarding such unexpected and excessive settlements. There have many examples all over the world, you can read case study of different failure of pile foundation, occurred all over the world. We are, here, trying to give you summary on concrete and foundation engineering. We will also try to publish some regarding case study in upcoming posts. Till then stay with us. 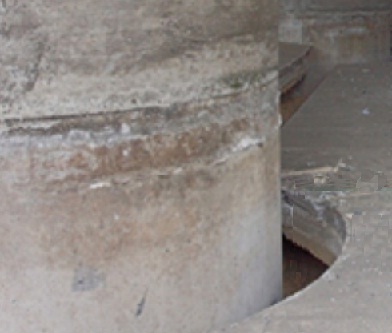 What is Erosion of Concrete?